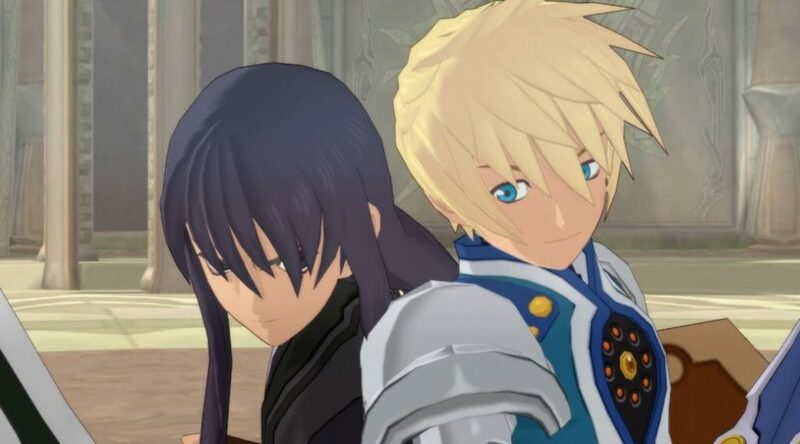 Tales of Vesperia Definitive Edition Review - "A classic Patty tries to spoil"
Yuri Lowell returns, but all is not right with this once stellar experience. This is my definitive write-up of Tales of Vesperia Definitive Edition review. But, perhaps “definitive” means something different to the Tales team. You see, I myself feel that “definitive” is the final result; that no prior version could come close to the “definitive” edition. Sadly, as great as Tales of Vesperia still is, it’s the inclusion of the PlayStation 3 content (the West only ever saw the initial release on Xbox 360 without the extras that came to PS3 in Japan) that drags it down. Though the J-Action RPG combat is still intact, Vesperia is revered for its stellar characters, quality voice acting and fascinating plot. All of which take a few fat lumps on the head thanks to the ham-fisted new additions. That aside, Tales of Vesperia still manages to be a great experience even a decade after release. But it’s also a lesson in what not to do with a re-release of an old game. Having played both of the aforementioned games during my time with Vesperia DE, it served to highlight some glaring issues and why Tales of Vesperia deserved more than just releasing the Playstation 3 version to the West on Playstation 4, Xbox One, PC and Nintendo Switch. It’s not enough to ruin Vesperia, but it does make me want to recommend the original version. If you do play the Definitive Edition, you shouldn’t miss out on what was – in its original form – one of my favourite games of all time. How Does Tales of Vesperia Definitive Edition Play? In Tales of Vesperia, players travel across the wondrous, animated world from a third-person perspective. The bulk of your time will be spent exploring ruins, forests and a variety of towns – be it embedded inside of a mountain or built around a giant cherry-blossom tree. As you explore, you’ll be doing a hell of a lot of fighting. If you happen to have played a Tales game before, you’ll know what to expect. If not, this may be a new experience. Upon coming in to contact with an enemy on the field, the screen shatters and a ring appears to set a boundary. Within that boundary, four characters on your team take part in a fight. The enemy numbers, however, can far exceed four. Luckily, the players have “Artes” at their disposal and can run freely around the inside of the boundary. Positioning can be very important in Tales of Vesperia, as well as understanding what your various “Artes” do. Yuri’s Azure Edge, for example, shoots a burst of energy directly out from his sword, allowing Yuri to hit an enemy from a certain distance, when usually he’d have to be up close for his typical attacks to land. Honestly, the depth of Vesperia’s combat, Artes and Skill systems are still astounding to this day. Not every game in the series strikes a good balance, but levelling up and using artes to unlock new is incredibly rewarding amongst the many other progression mechanics in this game. Vesperia works well because it always feels like you’re striving towards a goal, even in the post-game. It helps, then, that the combat is rewarding and fun, if not as refined as Tales of Berseria(my review). I could talk for days about the Fatal Strike system for instant-killing enemies, the EXP / LP / GRADE rewards at the end of battles and Passive Skills that can be learned from a whole pile of unique equipment for each character, as well as some shared items. It’d take forever to articulate it all, but it’s fairly easy to grasp once the game explains it all as you go. Suffice to say, I thoroughly enjoy it even now. My favourite part of playing Tales of Vesperia is when I come up against a resilient enemy. Bosses, for example. With their huge amount of health points and the challenge they often deliver on Normal difficulty or above; these enemies highlight the need to utilise all of the skills as the player’s disposal. Whether it’s blocking, back-stepping, magic guard or mixing up the directional basic attack system, the bosses offer ample opportunity to test your skills. Above all else, however, is the chaining of Arte attacks. Artes have five main categories: basic, advanced, altered, burst and mystic. The latter two are only usable in the “Overlimit” state – of which four stages exist and are prompted in combat – but the former three can be mixed and matched at any time providing the right passive skills are equipped to the controlled character. It feels great to land a fifty-hit combo with three basic attacks, a “Shining Fang”, “Shining Dragon Slash”, “Shining Fang Drop” and a final “Shining Fang”. Invest in those Super Chain Link skills as early as possible! JRPGs don’t often have a traditional over-world to explore. Vesperia modernised the nostalgia back in 2009 and it’s still just as fun to explore the world in 2019. There are a number of secret spots that the main narrative never tells you to visit. There’s no indication of side-quests after all; you just need to happen across a place or speak to a random person and “OH LOOK; something to do I guess? Okay”. A lot of the exploration is therefore personally-motivated. But the world is big and beautiful enough to warrant a look around. Especially when in need of materials to synthesise new weapons, secondary equipment, armour or special items to improve the gameplay in various ways. Tales of Vesperia is still a striking game. It suffers from a bit of a squashed-avatar feature that, say, Final Fantasy IX did, but the simple cel-shaded colours of them all pop. Each character is unique and interesting, the locations they visit are often vastly different from the last and it’s reminder of just how imaginative these games could be. One of the first main areas you come across is the town of Halure; a village built around a dying cherry blossom tree. Halure’s protective barrier (the barrier “blastia”) has stopped working and Estelle insists on helping. Yuri, being fairly care-free, agrees. The result is a remarkable scene that really wowed me. It’s not just the characters and the areas, but the arte skills still look good. For a series that constantly iterates on itself, few games have captured that same magic as Vesperia, even if they’ve technically looked better. It’s a great marriage of style and substance to this day. Tales of Vesperia, in its first form, is one of the greatest games of all time. Largely due to its likeable characters on a thrilling adventure that all go through their own story arcs whilst fitting firmly in to the main narrative. It’s important to note: the Definitive Edition has no “New” features. It’s the Playstation 3 version of Tales of Vesperia that featured new content for its Japanese release. And up I’d met Patty, I’d always thought I was missing out. Turns out, we were fortunate to have never met Patty. Or had ready access to Flynn. 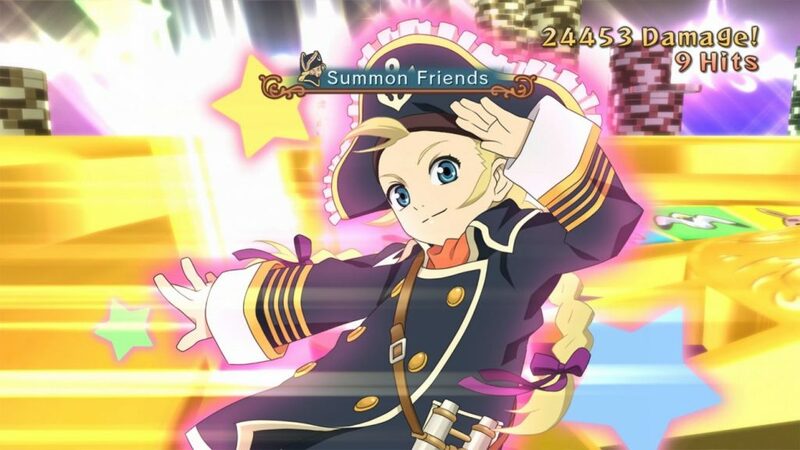 Flynn; a popular character in the main narrative of Vesperia’s original release seems understandable at first. He features briefly as a guest in the original game’s plot and a couple of times as a boss fight, proving that he had a move-set to use. Unfortunately, the way he’s shoe-horned into the main plot at points that don’t make sense to his character arc is nothing less than harmful to the main game’s story. Patty. Oh dear. The Young Pirate “Lass” that always has a terrible sea-based joke to make of every damn thing. If Flynn is “shoe-horned” in to the game’s story, Patty is forcibly fed to the player through several tubes crammed in to our bodies. We never asked for Patty. And if we did, we made a dire mistake. As a combat partner; she’s great. Her skills are unique and she’s a welcome addition to battle. But to the story? She’s not only a nuisance; she’s actively harmful. Forced recognition of Patty during scenes that never involved her, nor do they make sense to involve her, only serve to foster my growing hatred of this utterly nonsensical character. In a game with a stellar character dynamic, almost perfect in its execution, Patty and Flynn could only ever upset the balance. Flynn served his purpose in the narrative without being playable and Patty should just straight-up not exist. Their constant chip damage to the game over my seventy (70) hours with it took it from a near-perfect experience to just being “recommendable”, if only you could toggle the original and “definitive” versions in an options menu. But what makes this even worse? The voice acting decisions…. The problem is because this version was never localised in English originally, new dialogue is needed for old characters. 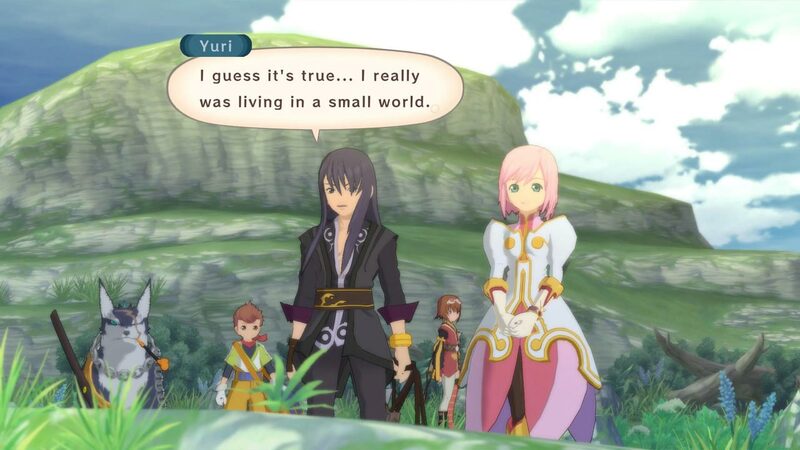 Vesperia is a very dialogue-heavy game, which has always been part of its charm. Naturally you’d think to get the major players back. Troy Baker’s beloved portrayal of Yuri Lowell, for example. This didn’t happen, even though Troy himself showed interest in getting involved. Instead, we have a poor, imitation of Troy’s voice in a booth, lower the sound quality of the recording and do that to several other characters. Not only that, you do that MID-SCENE too. In the MIDDLE OF A SCENE, YOU SWITCH BETWEEN TWO VOICE ACTORS FOR THE SAME PERSON. The rest of the cast are difficult to tell apart, except that the audio quality significantly drops in the added sections. But even if they are the original actors, their recordings were clearly sub-par compared to the original. And these sequences happen mid-story scene. These things aren’t just an inconvenience, they hurt the narrative. If this was my first experience with Tales of Vesperia, it’d never crack my top ten of a given year, never-mind my all-time list. Tales of Vesperia has one mode, that being its story, but it comes in at anywhere between 35 and 70 hours. Largely depending on the difficulty level chosen, which can be changed at any time. It has to be said, especially for the definitive edition, that some of those hours feel like padding. A remnant of a lost age where “more” game equalled a “better” game. Or perhaps “better value for money”. That said, the experience is so much fun and the first run has such a hard levelling curve that even I immediately want to jump in to New Game Plus, or “EX NEW GAME” as Tales of Vesperia puts it. What’s great about the Tales series is their “GRADE Shop”. Every battle in the game earns you a certain amount of GRADE, which you might have noticed on the victory screen relaying EXP, LP, Gald and GRADE earned etc. whilst the characters have their funny little back and forth moments. GRADE is spent solely in the GRADE Shop when EX NEW GAME is started. It features a whole bunch of quality-of-life improvements, such as carrying over all of your items, gald, 10 times experience as well as double experience amongst many other options. The GRADE cost is quite large, but there are farming methods for GRADE (see: Rita; Tidal Wave in your preferred search engine). The GRADE Shop is the only realistic way to achieve the platinum trophy too, if you’re so inclined. It’s a game that’s definitely worth your time, so it’s great that they make a second run meaningful in a way that most games don’t. Should You Play Tales of Vesperia Definitive Edition? Our 3rd highest award, see more on our review system created by gamers here. Tales of Vesperia Definitive Edition is Vesperia at its worst. On the one hand, the quality of life improvements – such as making previously miss-able batches of content available after the fact – are a welcome change. On the other? Patty is there. If nothing else, it’s a testament to how great of a game Tales of Vesperia is that it survives Patty’s involvement. Her existence and Flynn’s unwelcome presence prior to the end-game are enough to reduce this once-stellar experience in to just a good one. I firmly believe you should play Tales of Vesperia. But if you can, I’d recommend the original Xbox 360 version. That said, if you can stomach Patty and don’t have access to the original, this is still worth picking up. Did you enjoy the originally Vesperia and want to see what it’d be like if they actively tried to ruin it? Play the Definitive Version in English! Snark aside, if you’ve never played a quality Tales title before, it’s this or Tales of Berseria on the modern consoles. It’s difficult to compare to games outside of the “Tales” franchise because they’re a distinctly unique Action RPG. As much as I love the Vesperia system, Berseria really improved upon it. If nothing else, Vesperia will make for a stark contrast to Kingdom Hearts 3 and the big incoming February games. Ageless cel-shaded character models No improvements made for this re-release. Simple to play, difficult to master Patty. Mostly engaging story Flynn when he shouldn’t be with you. You've read our review, and maybe a few others on this title. Are you interested in getting Tales of Vesperia? Have you already played it? Enjoyed our review? We hope it helps, please do share this on social media using the buttons below. That way more gamers can find out how special this game is. 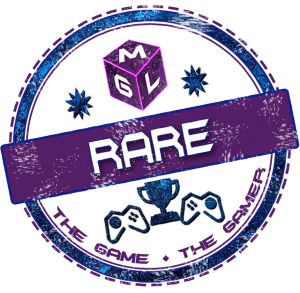 This game has been awarded MGL Rare, a good game that is going to suit fans of the genre and good elements, even if there are a few issues. Our rarity rating system is a little like loot, and games in this category would be traditionally scoring around 80-85.